For the English dub "Scorpiomon", see Anomalocarimon. 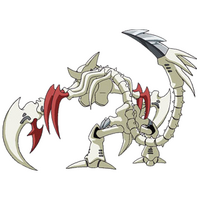 An Insect Digimon referred to as the "Assassin of the Desert". It sneaks up from behind the opponent while hiding its presence, and pierces the opponent with the venomous stinger at the tip of its tail. 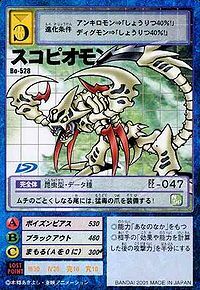 The venom that Scorpiomon carries acts faster than the transmission speed of nerve data, killing the opponent before they even realize that they have been stung. It is referred to as an assassin for this reason, since its opponent will not even know of its existence. Its Signature Move, "Blackout", blinds the opponent by spraying a slightly poisonous mist. Through this technique, it ensures that the opponent will never lay eyes on it. Its Special Move is attacking with the venomous stinger on its tail tip (Poison Pierce). 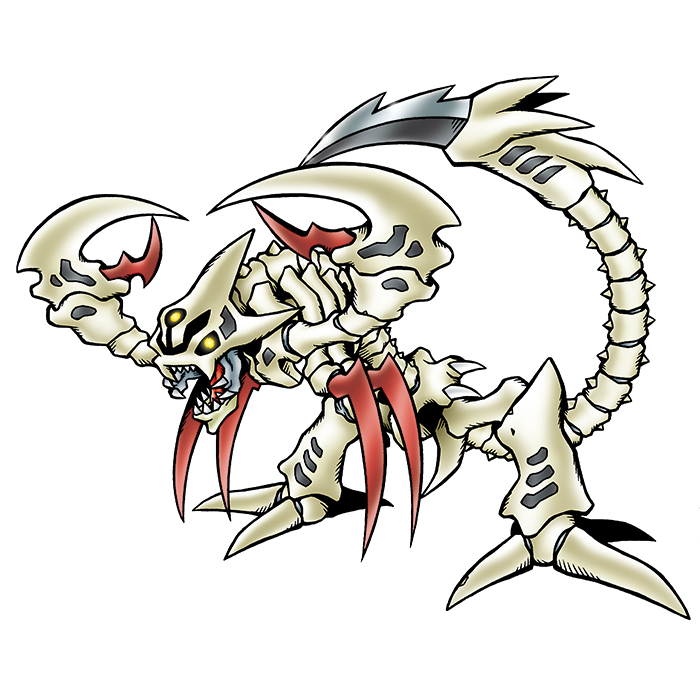 Scorpiomon was adopted from a winning Digimon entry in the "Digimon Web Dot-art Contest" which belonged to Mr. Yūsuke Ogura from Okayama Prefecture. Title: 「砂漠の暗殺者」 — "Assassin of the Desert"
n., From scorpion (「スコピオン」 Sukopion). 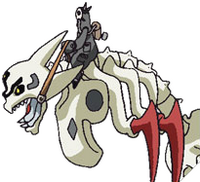 Anime/Manga Digimon Xros Wars: "Sand Zone, A Great Adventure in the Ruins!" Poison Pierce  ポイズンピアス Poizun Piasu Pinch of Pain Stings an enemy with extreme poison from its tail. Blinds the opponent's by disseminating a slightly poisonous mist. 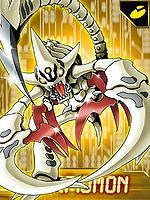 Scorpiomon is available as a Digimon Medal. Scorpiomon is an enemy Digimon in Area 5. 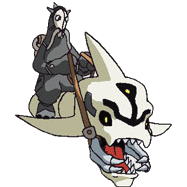 Evolves from Meramon, Gekomon, Sealsdramon, Sangloupmon, Thunderbirmon, Snimon or Dobermon when the requirements for the other evolutions are not fulfilled. 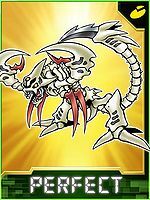 Can evolve to Grand Dracumon or Seraphimon. 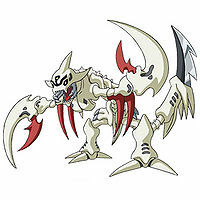 Scorpiomon is an enemy Digimon. This desert assassin hides its presence and sneaks up on foes from behind! It swings its whip-like tail, which is equipped with a claw laced with a deadly poison! 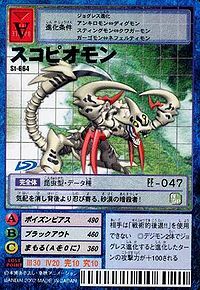 ↑ Scorpiomon was adopted from a winning Digimon entry in the Second Original Digimon Contest (Digimon Web). This page was last modified on 26 October 2018, at 16:36.